the spinocerebellum is made up of the purple and tan regions above. medial region of the cerebellum. 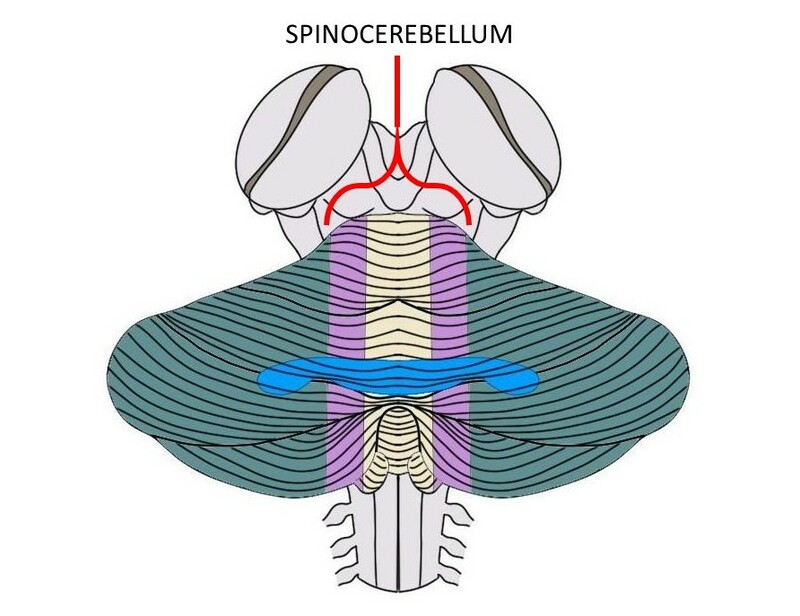 The spinocerebellum receives somatosensory input from the spinal cord; it uses this information to modify descending motor commands to facilitate movement, maintain balance, and control posture.